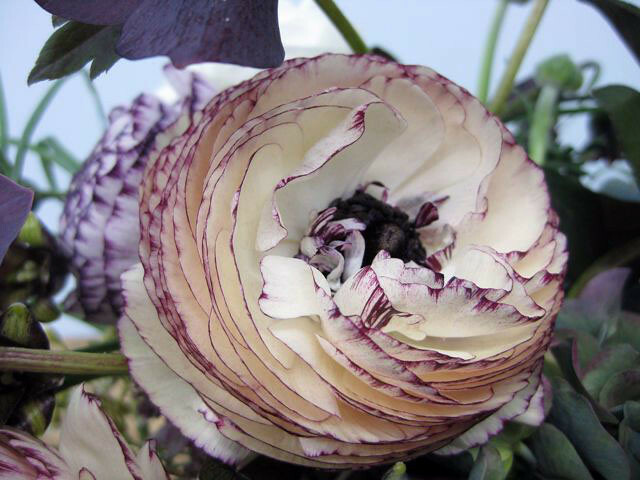 The ridiculously beautiful ranunculus makes us swoon with it's unending labarinth of petals. Need we say more?!? We'll bring mulitple varieties of this stunning beauty to class along with a smattering of other delicate winter blooms. Students will learn the basics of composition and each make a delicate arrangement in a footed glass urn.